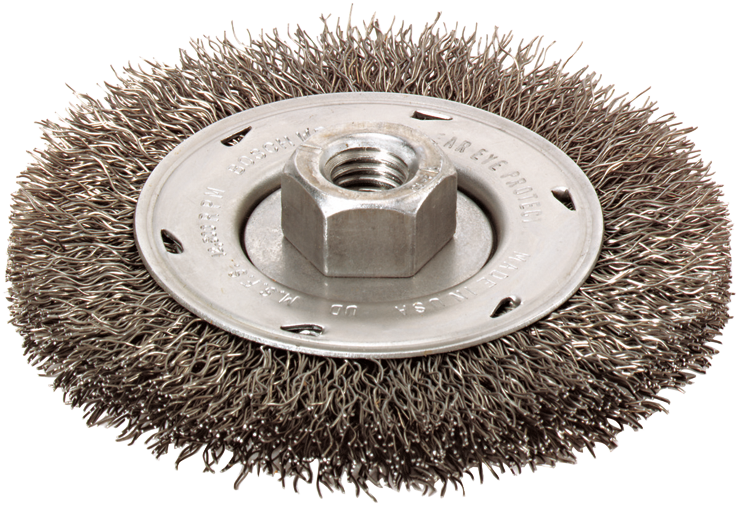 Bosch offers a full selection of crimped and knotted wire cup brushes. Bosch crimped wire wheels are made from the highest-quality crimped tempered steel with maximum wire density to ensure long life. Useful for de-burring gears, removing oxides and scale, flash removal and edge blending. The precision-balanced cup virtually eliminates vibration.